1: A right cause will be better pleaded with meekness than with passion. Nothing stirs up anger like grievous words. (2). He that has knowledge, is to use it aright, for the good of others. (3). Secret sins, services, and sorrows, are under God's eye. This speaks comfort to saints, and terror to sinners. (4). A good tongue is healing to wounded consciences, by comforting them; to sin-sick souls, by convincing them; and it reconciles parties at variance. (5). If instruction is despised, reprove men rather than suffer them to go on undisturbed in the way to ruin. (6). The wealth of worldly men increases their fears and suspicions, adds strength to their passions, and renders the fear of death more distressing. (7). We use knowledge aright when we disperse it; but the heart of the foolish has nothing to disperse that is good. (8,9). The wicked put other things in the stead of Christ's atonement, or in the place of holy obedience. Praying graces are his gift, and the work of his Spirit, with which he is well pleased. (10). He that hates reproof shall perish in his sins, since he would not be parted from them. (11). There is nothing that can be hid from the eyes of God, not even man's thoughts. (12). A scorner cannot bear to reflect seriously within his own heart. (13). A gloomy, impatient, unthankful spirit, springing from pride and undue attachment to worldly objects, renders a man uneasy to himself and others. (14). A wise man seeks to gain more wisdom, growing in grace and in the knowledge of Christ. But a carnal mind rests contented, flattering itself. (15). Some are much in affliction, and of a sorrowful spirit. Such are to be pitied, prayed for, and comforted. And others serve God with gladness of heart, and it prompts their obedience, yet they should rejoice with trembling. (16,17). Believers often have enough when worldly eyes see little; the Lord is with them, without the cares, troubles, and temptations which are with the wealth of the wicked. (18). He that is slow to anger, not only prevents strife, but appeases it, if kindled. (19). Those who have no heart to their work, pretend that they cannot do their work without hardship and danger. And thus many live always in doubt about their state, because always in neglect of some duty. (20). Those who treat an aged mother or a father with contempt or neglect, show their own folly. (21). Such as are truly wise, study that their thoughts, words, and actions should be regular, sincere, and holy. (22). If men will not take time and pains to deliberate, they are not likely to bring any thing to pass. (23). Wisdom is needed to suit our discourse to the occasions. (24). A good man sets his affections on things above; his way leads directly thither. (25). Pride is the ruin of multitudes. But those who are in affliction God will support. (26). The thoughts of wicked men offend Him who knows the heart. (27). The covetous man lets none of his family have rest or enjoyment. And greediness of gain often tempts to projects that bring ruin. (28). A good man is proved to be a wise man by this; he governs his tongue well. (29). God sets himself at a distance from those who set him at defiance. (30). How delightful to the humbled soul to hear the good report of salvation by the Lord Jesus Christ! (31). Faithful, friendly reproofs help spiritual life, and lead to eternal life. (32). Sinners undervalue their own souls; therefore they prefer the body before the soul, and wrong the soul to please the body. (33). The fear of the Lord will dispose us to search the Scriptures with reverence; and it will cause us to follow the leadings of the Holy Spirit. While we humbly place all our dependence on the grace of God, we are exalted in the righteousness of Christ. Each day we walk through the Bible chapter by chapter making an application of our text to help us grow in the Lord. Many applications can be made from each day's text. 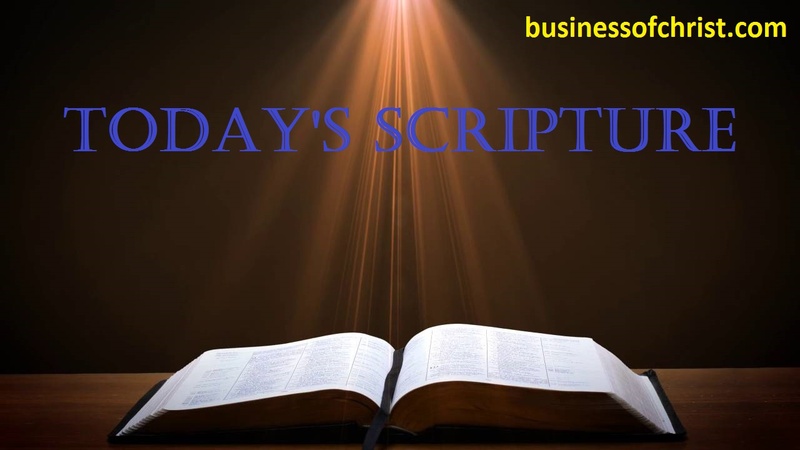 Today we continue with the Book of Proverbs with Chapter 15. In our text today we see a continuing of practical wisdom. What catches my eye are the many references in controlling our tongue or what we say. In making application I am reminded of how a ship is controlled by a tiny rudder, we are controlled and directed by our tongue. Our conversation will direct our life just as a rudder directs a ship. How about you? Do you see the power of your conversation? Let us learn from our text today to realize the power of our tongue and then to submit our words as instructed by the Lord.